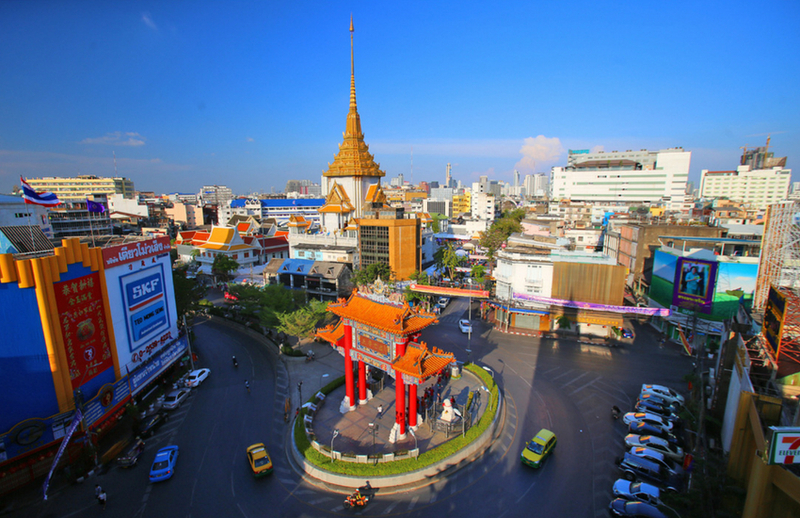 The city of Bangkok is a showcase of European Imperial styles from every European power. This is especially true around the Silom precinct, the old Farang and Bang Rak. Visitors will discover the English, Dutch, French, Italian and Portuguese. The architectural styles of the old colonial buildings are both beautiful and fascinating. Some of the best examples are detailed below. This building was constructed in Venetian style architecture and is currently still in use. The Danish East Asiatic Company built this colonial gem towards the start of the 1900's to establish their freight trade routes through the Far East sea. These routes were what connected Thailand with Europe. The façade is striking and numerous visitors stop by the Oriental Pier to photograph the building. This was originally a Danish conglomeration encompassing shipping, plantations, slaughterhouses and pharmaceutical companies all over the world. Captain Hans Niels Andersen chose Bangkok for the location because he was a shrewd businessman and a sailor. He began by purchasing the Mandarin Oriental Hotel in 1881. In 1897, he created a shipping line between East Asia, Thailand and Denmark with the East Asiatic Company. 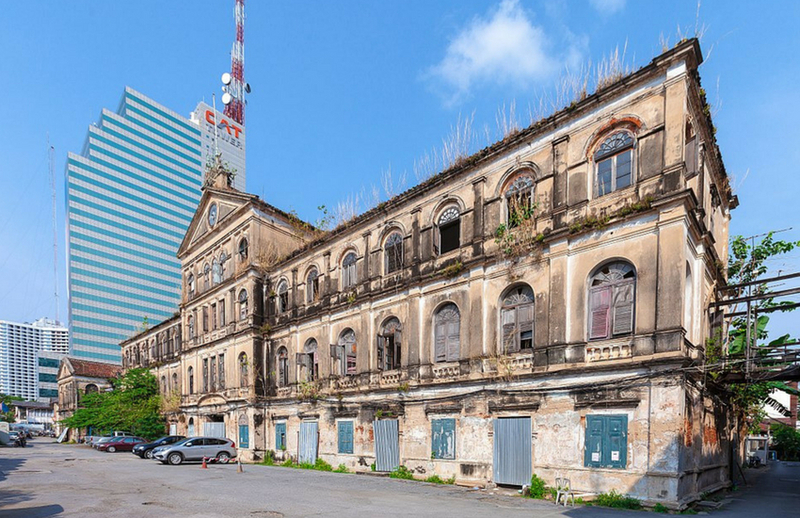 The building is located on the edge of the Chao Phraya River and is classified as a rare historical structure. The company's symbol and name can both still be seen on the gable of the building. The period of time when sailing ships dominated naval and trade warfare is referred to as the Age of Sail. This ensured the main routes through the cities were the navigable waterways. Late in the 19th century, King Rama V commissioned a custom house located on the riverfront of the Chao Phraya. The idea was to levy taxes on traders both leaving and entering Bangkok. This became the gateway to Bangkok and viewers were stunned by the design. 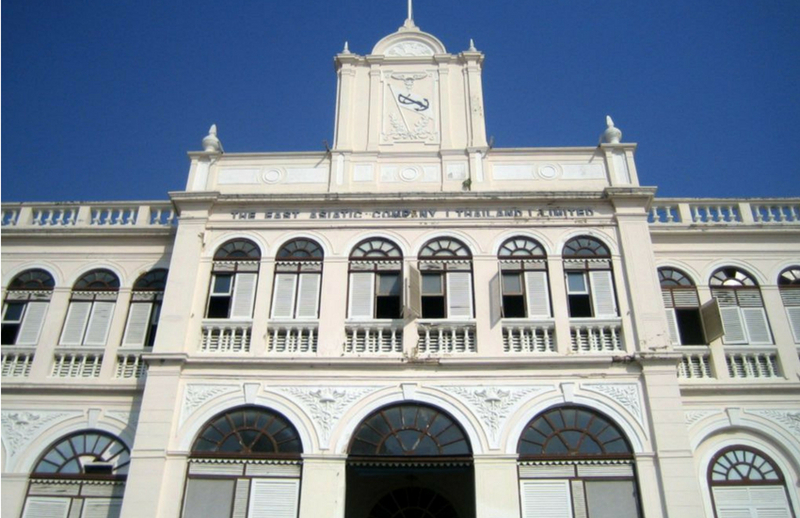 The structure became known as the Old Customs House and is located in the creative district. Joachim Grassi is the Italian architect who designed the building during the 1880's. Western influence was prevalent during this time leading to the front door facing the river along with the grand façade. The architecture is in the Palladian style with a clock embedded in the top triangular pediment, strong symmetry and arched transoms created for the windows. Unfortunately, the building has been subject to decay since 1949 when the customs office relocated to Khlong Toei. The former glory is still visible and the building is used for movie and photo shoots. The presence of the Catholic Church in Thailand predates the capital of the country being established as Bangkok. The first records revealing Christianity in the country are from 1550 in the Siam region. The missionaries began coming to Ayutthaya in larger numbers during the 17th century. The culmination was the construction of the Assumption Cathedral. This remains the Roman Catholics main Thailand church. This church is a landmark and constructed in the traditional Thai architectural style. The church was expanded in 1909 due to the growth of the Catholic community. 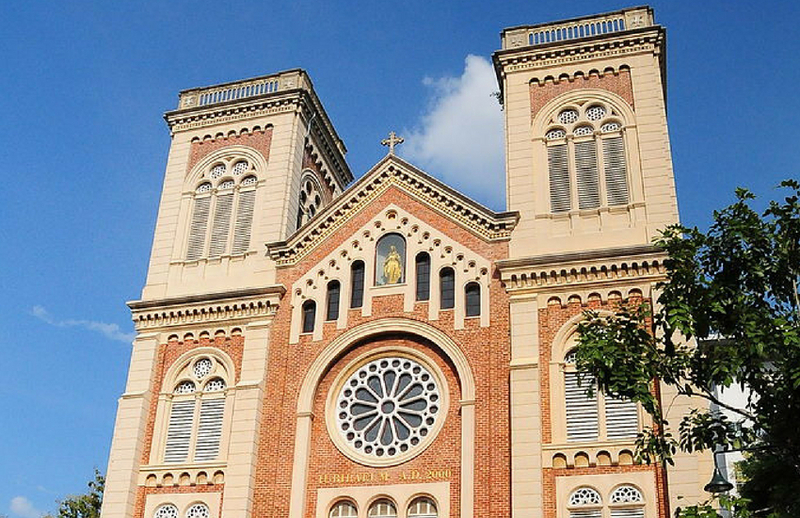 The Assumption Cathedral is located in the Assumption College courtyard with the main entrance facing west towards the Chao Phraya River. The Romanesque architecture includes columns, piers, buttresses, arcades and semicircular arches. There is a crypt beneath the sanctuary containing the remains of missionaries and bishops from the past. Services are currently offered in Thai and English. The original name for the Ministry of Defence was the Krom Kalahom. The ministry was established during the Ayutthaya period and was responsible for the protection of the southern border. King Chulalongkorn ordered the formation of the ministry in 1887 to establish a permanent command center for the military. The original location was in a stable for retired elephants and horses by the Grand Palace. The current building was built in a European style during the 1880's. 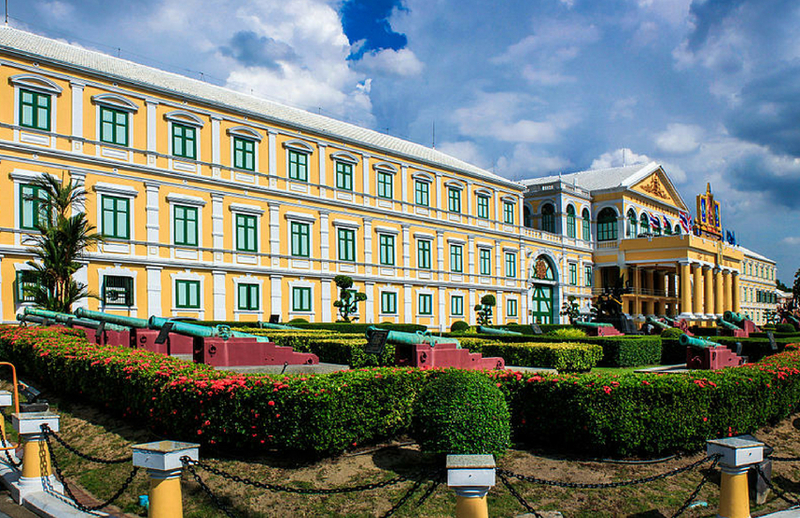 The golden building is considered neoclassical and directly faces the Grand Palace. The building is extremely well maintained with a bright yellow façade and lovely green shutters. Access to the surrounding side streets are often bared by the guards but there is no issue regarding photographing the building. Lord Sathorn once lived in this beautiful building. He had the mansion constructed in 1889 after the Sathorn Canal was completed. In the past, this building was the luxurious Hotel Royal and the Embassies of the Russian Federation and the Soviet Union. The building is now under the control of the W Hotel and used for an elegant restaurant and bar. The restaurant has won awards as one of the fifty best restaurants in Asia for both 2017 and 2018. The colonial style mansion is currently a garden restaurant in the Al fresco style. The House on Sathorn offers eclectic dining, Turkish influenced cuisine, a classically styled conservatory, an exclusive club lounge, four hospitality suites and spaces reserved for meetings, private events and exclusive dinners. The most famous, spectacular and dazzling landmark in Bangkok is the Grand Palace. The building was constructed in 1782 and housed the Thai King and the Royal court for the next 150 years. The architecture is gorgeous with intricate details to salute the craftsmanship and creativity of the Thai people. The Thai war ministry, mint and state departments are within this building. 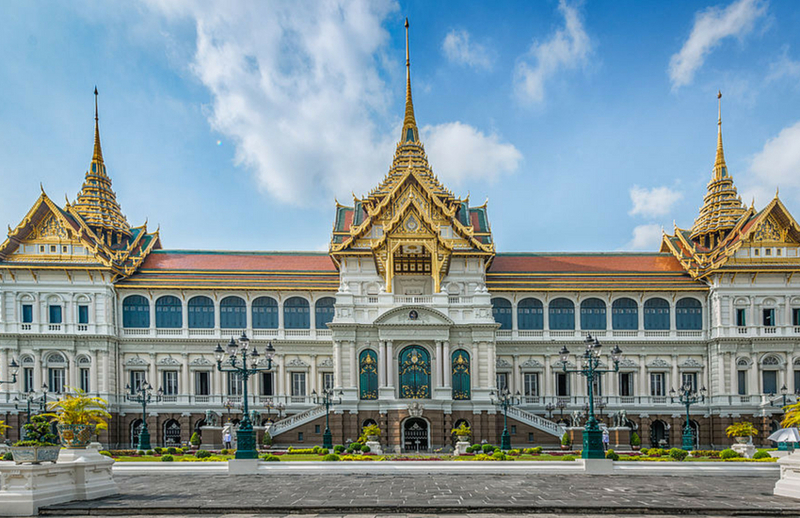 The Grand Palace is considered the Thai Kingdom's spiritual heart. The most visited temple in the country is called the Wat Phra Kaew or the Temple of the Emerald Buddha and is located at the Grand Palace. King Rama I built this temple and it became the most revered place in Thailand. The structure stands just 31 inches in height and is highly worshipped. The famous Emerald Buddha resides here and dates back to the 14th century. The kings stopped living in the palace about the time the 20th century turned. This island is surrounded by the canals and the Chao Phraya River and is the historic Bangkok. Almost every tourist in Bangkok visits this island because this is where most of the significant sightseeing spots can be found. 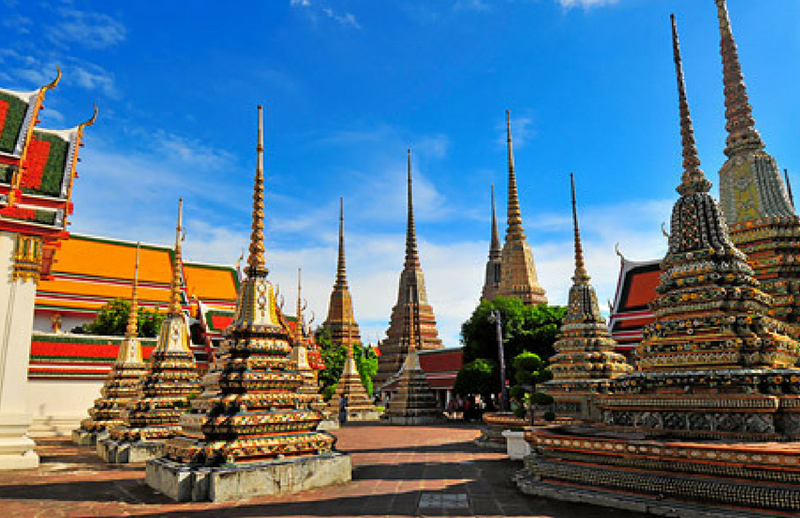 The includes the Wat Phra Keo, the Grand Palace, the National Museum, Wat Pho and numerous breathtaking temples. In addition to the architecture of the monuments, colonial buildings and palaces, the charm of the Rattanakosin is due to the lack of modernization. There are no fancy shopping malls or high rise condos in this area. The area referred to as the Giant Swing or Saochingcha encompasses a very large red swing once used for ceremonies for the royalty. The neighborhood in this area is quaint and offers numerous mom and pop businesses. The majority of these restaurants serve one or two dishes that have become famous and have been established for fifty or sixty years. This is one of the only Bangkok areas pleasant for walking, featuring interesting footpaths near the canals and offering stunning architecture. This palace is not well known but was formerly where Prince Paribatra resided. This was King Rama V's grandson. 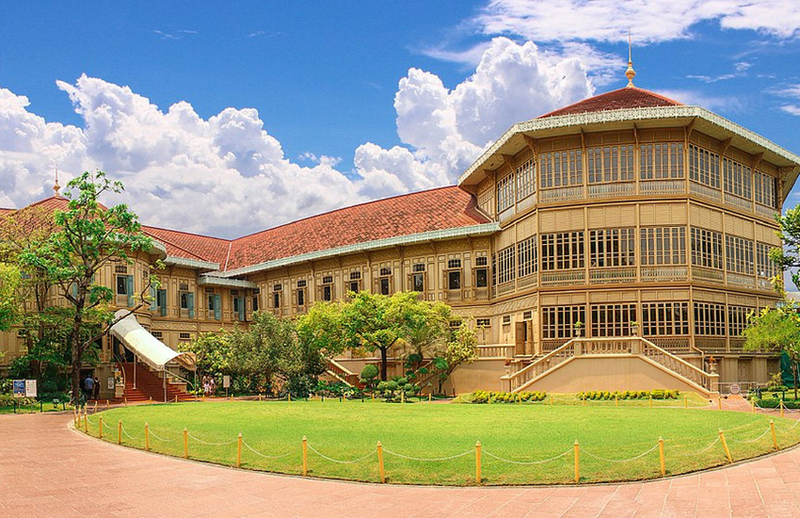 The Suan Pakkad Palace consists of eight Thai houses with traditional reconstruction. These houses have been filled with the memorabilia from the artistic collection of the prince. This includes paintings, lacquerware, glass and musical instruments. The palace is both traditional and beautiful while housing a Ban Chiang museum offering house pottery. Ban Chiang is a site located in northeastern Thailand. This is a UNESCO World Heritage site where a student of American archeology discovered pottery shards. The student was coming back from a dig during the middle of the 1960's, tripped over a root and revealed ceramic pieces that dated all the way back to 2000 BC. This is one of the worlds most ancient Bronze Age cultures. Chinatown is a charming historic area full of tiny alleyways and mazes perfect for getting slightly lost, amazing markets, sensational food, classic architecture and temples. A lot of locals like to stroll through this pleasant and peaceful area. The architecture of the old buildings is incredible. The Wat Traimit Temple was constructed 700 years ago and features an image of Buddha weighing 5.5 tons. The Wat Mangkon Kalawat is the busiest temple in Chinatown. The area is filled with old shop house lanes, colonial buildings from the past, outdoor seafood restaurants, spices and produce from the Trok Itsaranuphap wet market and the Sampeng Lane alley market. A lot of visitors frequent this area to photograph some of the classic buildings and enjoy the fresh air and aromas of the marketplaces. This is the oldest and largest temple in Bangkok and has been rebuilt completely. The Wat Pho is famous for the 150 foot long giant reclining Buddha. The sculpture is enormous, has extremely large feet and is covered completely in gold. The are 108 signs of the buddha present and inlaid using shimmering mother of pearl. The Wat Pho grounds are spacious and encompass more than 1000 images of the buddha. A lot of these feature the incredible ruins and architecture of Sukhothai and Ayutthaya. This is where esteemed traditional massage schools draw the rich and famous for treatments. This includes foot reflexology and invigorating rubdowns to promote relaxation and peace. Unfortunately, most of the people traveling to Bangkok are unaware of Baan Kukrit. This is a museum and heritage home belonging to one of the most talented and interesting people in Thailand. The home is peaceful, built on a lush green oasis, an informative museum, an architectural gem, and the perfect place to spend an afternoon. M.R. Kukrit was a prime minister, owned a newspaper and was both an artist and a writer. His heritage home was built using five traditional Ayutthaya houses. These homes were dismantled, transported and put back together on their current site in Bangkok. The home features classic Thai architecture, lush Khmer style gardens, an open ground floor, a lotus pond and miniature sculpted mai dat trees which have a lot in common with the Japanese bonsai. The Vimanmek Mansion is part of the royal residences in the Dusit compound. This was once the royal palace and is the biggest golden teakwood mansion in the world. The building showcases handcrafted accents, is an amazing architectural accomplishment and is additionally a living museum. King Rama V had Vimanmek constructed in 1900 and was functioning as a museum for the public by 1982. The mansion is a combination of both Thai and intricate Victorian architecture and contains many of the handicrafts from Rama V. This includes memorabilia, photos, teapots made using eggs from ostriches, the first typewriter in the Thai language, the first Thailand shower and Rama V's telescope collection. The former palace is surrounded by fountains, gardens and ponds. Jim Thompson was a World War II soldier and a former architect from New York. He is responsible for the re-establishment of the silk industry in Thailand. His home is the perfect example of the traditional Thai architecture apparent in the old colonial buildings. The home was renovated using numerous up-country buildings, a priceless Asian art collection and fine silk in commemoration of the recipient of the royal Order of the White Elephant. Jim Thompson disappeared mysteriously in 1967 while in the Malaysian jungle. His home remains almost exactly the same teak wood home with a naga mythical serpent motif, curved roof and lovely gardens. An art center is also provided by the Thompson Home featuring ongoing exhibitions, guest lectures and multimedia presentations. Bangkok is city a filled with history, architecture and Thai customs. There is a lot to see when traveling to this city including the stunning architecture, historical sites, magnificent temples and extraordinary palaces. One of the most fascinating ways to spend a day is simply exploring all the old colonial buildings within the city. This boutique hotel is both luxurious and stylish while located in the center of one of Bangkok's most lively tourism areas. The neighborhood has a reputation for exceptional nightlife, fine restaurants, quality spas, lifestyle malls and green recreational spaces. The akyra TAS Sukhumvit Bangkok has fifty rooms and suites encompassing exceptional views of the cityscape, generous balconies and glass doors running floor-to-ceiling. The design is a combination of modern-retro chic and simple natural woods. This can be seen in the artwork and furnishings with distinctive interior touches and an intimate charm. The building is the perfect combination of hospitality, Thai art, contemporary design and culture. The amenities are designed using bamboo and rice materials. Nestled between the exciting Sukhumvit Soi 55 and Petchaburi Road, the 148-key akyra Thonglor Bangkok hotel offers studio rooms, plus 1-, 2-, and 3-bedroom suites, tapping into the trendy local aesthetic with a strong, contemporary design. The self-contained sanctuaries are perfect for leisure travellers, while guests passing through on business will want for nothing with an adjacent lifestyle mall and 24-hour supermarket. If you are visiting Bangkok, this trendy district is definitely worth a visit. If you are into great food, people watching, art, or just partying hard, Thong Lor has something to offer you.